Are you thinking about renting your home to earn additional income? Maybe you’re considering entering the real estate investment business. With single-family rental homes in demand across the country, renting your own home after you bought another house could be a great way to get started. Maybe you go away for two weeks every summer, and you’d rather earn money for your house than leave it unattended or pay someone to house-sit. Or perhaps you have a second home or travel frequently and want to start renting your home to guests when you’re away through a service like Airbnb or VRBO. If you live in a desirable vacation area like the Hamptons, you can build a second business through home rentals. But it’s important to be aware of added costs, including home insurance for your rental property. Here are five things you should know about home insurance and renting your house. Your home insurance company could drop your coverage if you rent your home without notifying them. Home insurance carriers can drop customers for many reasons, including making too many claims in a short period of time. Your home insurance carrier can drop you even if you’ve never made a claim if your home is considered to be “high-risk” based on insurance carriers’ sophisticated risk modeling software. If you rent your home without telling your insurance company and the carrier finds out – perhaps because a tenant or a short-term guest on your property is hurt and you make an insurance claim – your insurance carrier could drop your coverage. Chances are, if you rent your home to vacationers a few times a year, your insurance company won’t find out. But in this age of social media, your carrier or agent could come across your rental ad on a travel or vacation rental website, in a Facebook group, or even through word-of-mouth. Knowing that you could be dropped if you don’t tell your home insurance company about your intention to rent your home, you might be tempted to ask your agent about home insurance rental endorsements to cover your tenants or short-term guests. But your home insurance agent may decide they don’t want to cover a customer with the added risk of short-term tenants. Your insurance carrier could drop your policy even after you add the endorsement. Since finding a new home insurance policy after you’ve been dropped by your carrier can be expensive, it may not be worth the risk to rent your primary home a few times a year when you go on vacation. If this sounds like a lose-lose scenario for homeowners seeking short-term rental income in desirable areas of Long Island – it is. If you want to open a bed-and-breakfast or rent a vacation home to guests during tourist season, it is best to purchase additional property beyond your primary residence. You don’t want to put your home at increased risk to support a new, part-time business venture. Insurance offered by Airbnb and other vacation rental services may not provide the home insurance coverage you need. If you’ve been researching the idea of renting your primary home as a vacation residence, you may have discovered that some vacation rental services provide their own insurance policies. But these policies may not be in your best interests. According to an article in PropertyCasualty360, Airbnb offers its own “host insurance,” with liability limits up to $1 million per occurrence. However, “Host Protection Insurance” is secondary to your own home insurance policy. If a guest is injured on your property during a short-term rental, your insurance company is likely to drop you for renting your home without notifying them. See #1 on this list if you are still wondering why renting your home without telling your insurance carrier is a bad idea. If you are looking to protect your personal household goods and furniture from rowdy vacationers, you may be surprised to discover that policies issued by home rental services may only cover actual cash value, not replacement value of expensive collections, furniture, and electronics. In addition, the insurance policy may not cover early arrivals or late departures. If your guests refuse to leave and also trash your home, you may not be able to make a claim. A business insurance policy may cover you and your guests for short-term rentals. You’ve weighed the benefits (additional income from vacation rentals) and the drawbacks of losing your insurance coverage, paying out of pocket for damages, or even facing a lawsuit if a vacationer is injured on your property. If you decide you still want to take the chance, consider a business insurance policy, available to homeowners who regularly conduct business on their property. However, you’ll want to be aware that running a business out of your home could be considered a high-risk activity. Your insurance company could raise your home insurance premiums or even drop your coverage. Your safest bet? Purchase a second vacation home to rent. Insure the home with the appropriate rental dwelling and business insurance, so you can earn extra income without jeopardizing your home insurance rates or your current home insurance policy. Landlords should ask their insurance agents about “dwelling fire” or “rental dwelling” insurance. Maybe you are renting a house for longer than a few weeks at a time. 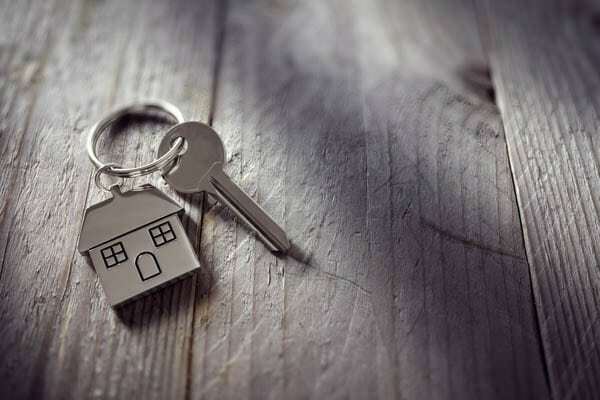 If you are a landlord renting a property to the same person or people for months at a time or more, you need to protect that house and other structures on the property from catastrophic loss. You may also want to protect furnishings and appliances that are part of the long-term rental. You also want to make sure you are protected, financially, in case a tenant or one of their guests is injured on the property. Ask your insurance agent about a “dwelling fire” policy or “rental dwelling” policy. If you take out a mortgage or investment loan for the property, the bank will want to make sure the house is covered for catastrophic loss. Even if you paid cash, you will want to protect your investment by insuring the property as soon as you purchase it. Landlords should make sure long-term tenants have renters’ insurance to cover their property in case of damage or theft. If you are a landlord, you want to make sure your tenants’ household goods are also protected in the event of fire, theft, or other loss or damage. If a tenant doesn’t have rental insurance, they might try to hold you, the landlord, responsible for the loss of their personal items and household goods, including furniture, jewelry, and collections, in the event of theft, fire, or water damage. Your rental dwelling policy does not cover the tenants’ property or liability. It’s important to make sure your tenants have renters’ insurance and to include that requirement as part of the lease agreement, to protect yourself from property damage and/or liability claims arising from their occupancy. Home insurance provides very specific coverage for a home’s residents and their invited guests. This coverage is only applicable to owner-occupied homes, used by the primary owners for the majority of the year. You can own many houses, but only one home – your primary residence. Renting out your primary residence could cause your home insurance rates to rise. Your home insurance carrier could even drop your policy if they find out you are renting your primary residence for a few weekends out of the year or a week or two at a time. If you choose to rent your primary residence, you are running a business out of your home, which could put you into a higher risk category – whether you have business insurance or not. Many people own multiple houses in addition to their primary residence. They might use these houses as vacation rentals, long-term single-family rentals, or even vacation homes for themselves and close friends and family members. If you own multiple houses, you will want to talk to your insurance agent about appropriate insurance for each house, depending on how the house is used. Speak to your insurance agent if you have any questions about home insurance for your primary residence and other insurance coverage for additional properties and houses you own. Coastal Insurance provides policies with the appropriate coverage and coverage levels for landlords, renters, and homeowners across Long Island and beyond. Why Does Home Insurance Cost More Near the Water? How Much Does a Diving Board Increase Insurance Rates?